We’re delighted to have been asked to co-host an event with North Tyneside Council to give local businesses an insight into the authorities ambitions, and gain views from the business community about how the authority can engage better across a number of strategic areas. Chief Executive of North Tyneside Council, Paul Hanson, will provide local businesses an insight into the authorities’ ambitions and will ensure businesses are aware of, and can speak to key officers across a number of areas within the authority. Areas will include the supply chain, public protection, highways and employment & skills. Following an insight into ambitions, there will also be round table discussions to gather business feedback on a couple of key questions for example what the authority does well for business and, what could be worked on. 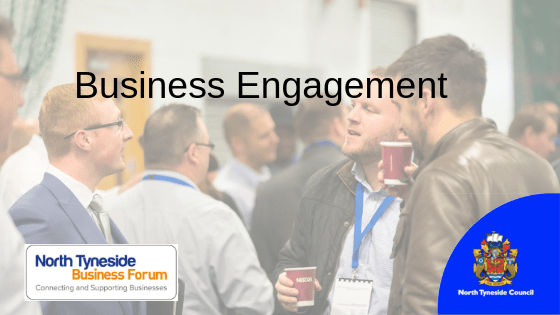 Consultation and engagement with businesses in North Tyneside is one our our key priorities and we are encouraging any business in the borough to come along and give their views. This event is only open to businesses with a trading address in North Tyneside. Pre-registration is required.